Yesterday, we zeroed in on the latest between Uber and Google’s self-driving car project, Waymo, courtesy of a superbly-detailed profile of the situation via Bloomberg. But there’s one more factoid that’s worth pulling out: they actually have “Safety Third” as a slogan. Much as it’s something we use to refer to David Tracy’s philosophy on vehicle maintenance, it’s a joke at Uber’s self-driving unit. It wasn’t all pretty for Waymo. In addition to covering front-to-back how Waymo came to accuse former employee and now Uber self-driving guru Anthony Levandowski of theft, the piece reported a new nugget about Google’s seemingly wishful attempt at courting Tesla founder Elon Musk. At one point, Bloomberg reported, Google pitched Musk on the idea of outfitting Tesla vehicles with Google’s own self-driving tech. Musk declined. Levandowski seemed to struggle in other ways as well. 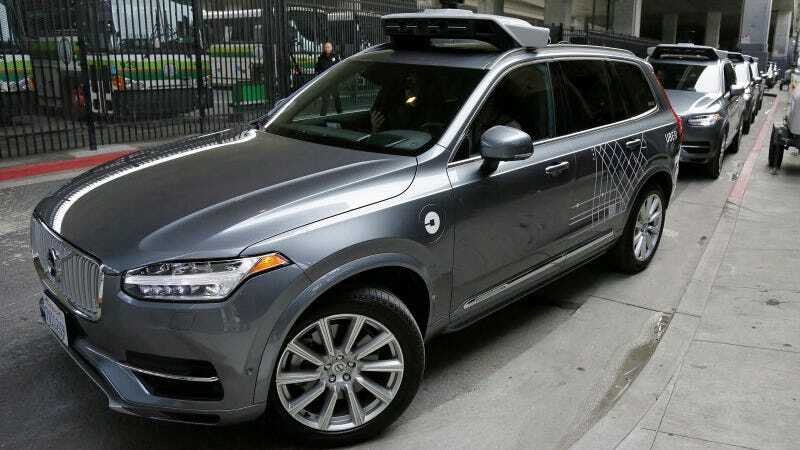 In December, Uber dispatched 16 self-driving cars, with safety drivers, in San Francisco without seeking a permit from the California DMV. The test went poorly—on the first day, a self-driving car ran a red light, and the DMV ordered Uber to halt its program in the state. The company suffered further embarrassment when a New York Times article, citing leaked documents, suggested that Uber’s explanation for the traffic violation—that it had been caused by human error—wasn’t complete. The car malfunctioned, and the driver failed to stop it. Now, Uber’s self-driving cars are reportedly performing OK on the roadways. But damn. That’s certainly an ingenious way to proudly tout support for flouting laws. If you have one of the OSHA orange “Safety Third” stickers or have something to share about Uber, you can reach me at ryan.felton@jalopnik.com, or my contact for Signal can be found here.